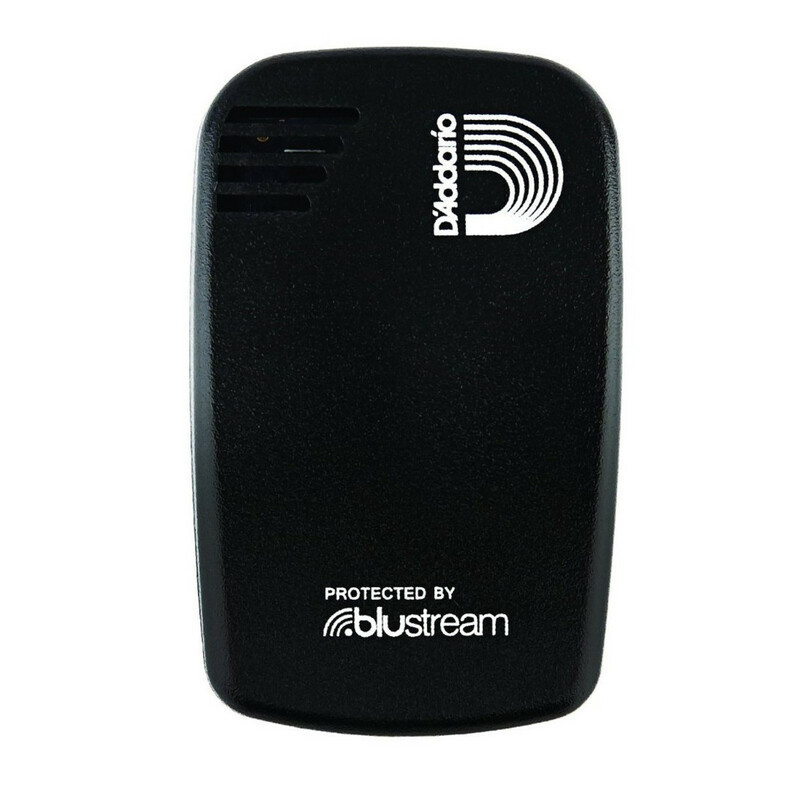 The D'Addario Humiditrak Bluetooth Humidity and Temperature Sensor can protect your instrument from damage by large and rapid changes in humidity and temperature. The sensor provides a constant stream of temperature, humidity and impact data via the free smart phone app to alert you of hazardous conditions that could lead to costly repairs and a reduction in value to your instrument. The Humiditra Humidity and Temperature Sensor includes a CR2032 battery and has a maximum battery life of 2 years. The sensor also sends push notifications to your device when any dangerous conditions are detected allowing you to take any necessary action before damage occurs. This incredibly easy to use device is the perfect add on to your beloved instrument.